The Legend of Zelda: Breath of the Wild has been updated to version 1.3.4. Before you get too excited, this update doesn't offer any sweeping changes - instead, it's aimed at tidying up the experience and offering "various fixes to improve gameplay". Boo. Of course, this could also mean that the update is laying the groundwork for next month's The Champions’ Ballad DLC pack. If you've downloaded it already, let us know if you've noticed any differences. Saw I got the update. I don't see why people get mad about updates like this. It just makes it better, so why not have updates like this rather than just keeping the bugs? I just want a star fragment salesman. 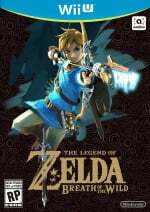 I'm still hoping for the DLC announcement during the Game Awards (naturally just as BotW is named Game of the Year). And, of course, it will be available "shortly after this presentation"
Hopefully this fixed a glitch that will allow me to get a certain Korok seed in the Gerudo desert. @simbakitty isn't "breath of the wild" another term for "halitosis"? That would make "wilder" smell worse. How 'bout a mint? What are the odds they've sorted out the Wii U framerate? @BezBot Probably people from EA and Ubisoft battling against Nintendo's quality. I'm like you, if they want to improve a game that already seems perfect, I just reminds us it's a Nintendo game (aka awesomeness in a cartridge). Does it add more of the stables? From what I understand, some people think that Nintendo is being lazy and not fixing the problems while the game is still in development. Given how complicated games are now, it's absolutely loony to still think that can be done in today's world. And even still, Nintendo still delivers solid products on day one, with only minor or DLC patches. I think some people just enjoy complaining — makes themselves feel better I guess. It's better now, no more bad breath from the wild. They added Colgate in this patch. Just wish they’d patch in the option to add two more save games like the previous games had. @TCJester The game already has 8 save slots. 6 for Normal mode and 2 for Master Mode. If you want to start over, you may very well create another account in your system. It isn't the smoothest method, but it works. @Dezzy If they manage to do that I would be impressed. 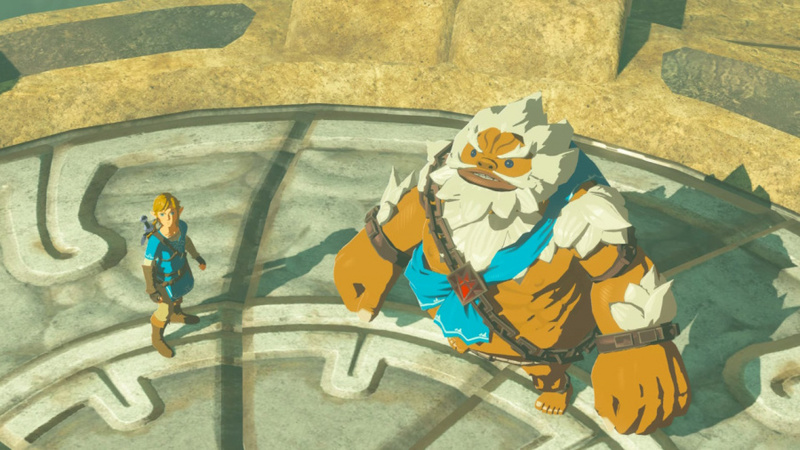 BotW already put the Wii U up to its limits. Maybe turning the OS off completely like some games do on 3DS? I mean, no one is going to be using Miiverse to save pictures anymore. On the other hand, I look up stuff on the Internet Browser a lot to help me from time to time. @VR32F1END 1) Save next to a Lynel. 2) Kill it. 3) If there's a fragment, grab it, if not, reload and repeat until getting it. 4) Find another Lynel and repeat. @10-zx Oh, that's also true. I thought no one used it because it was too slow and most pages didn't load correctly. It's not too slow and most pages load fine. I think it's one of the best ways to browse the Internet. Still hope they'll fix fps at Forest. @BezBot It's more or less that people can't tell it does anything. I get a little annoyed when they can't even tell us what bugs were fixed. It feels like nothing changed. I think the ability to purchase the hylian shield in terry town disappeared in 1.3.3 and was fixed in this version. Has anyone tried to to get the glitched chests now after the update? I'm wondering why they haven't been fixed already months ago. I’ve done plenty of lynel grinding. Lol. Its basically all I do at the point I’m at in the game. All my shields and bows are lynel. All my armor is maxed except for the amiibo stuff... which needs too many fragments. But I hear ya. Thats a good way. I'd love if they started detailing what "stability" improved in the game instead of being so vague. That's just great. My Wii U updates, I get version 1.3.4. Stable patch, right? Five minutes into playing the game once again and I get a random Blood Moon at 4:30 AM, in-game time. Whatever this update did, it wasn't in the name of stability. And I do not like random glitches like these. I do not want several Blood Moons in a row and suddenly be forced to face armies of silver enemies. Waiting for the second DLC before I dive back into the game. I haven't touched BotW since the end of March on the Wii U, and now I have the game on the Switch, and the only amiibo content I don't have access to is the SS Link amiibo, so the game will definitely be bigger this time around. 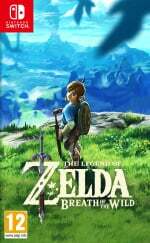 Thinking of playing on Master Mode.